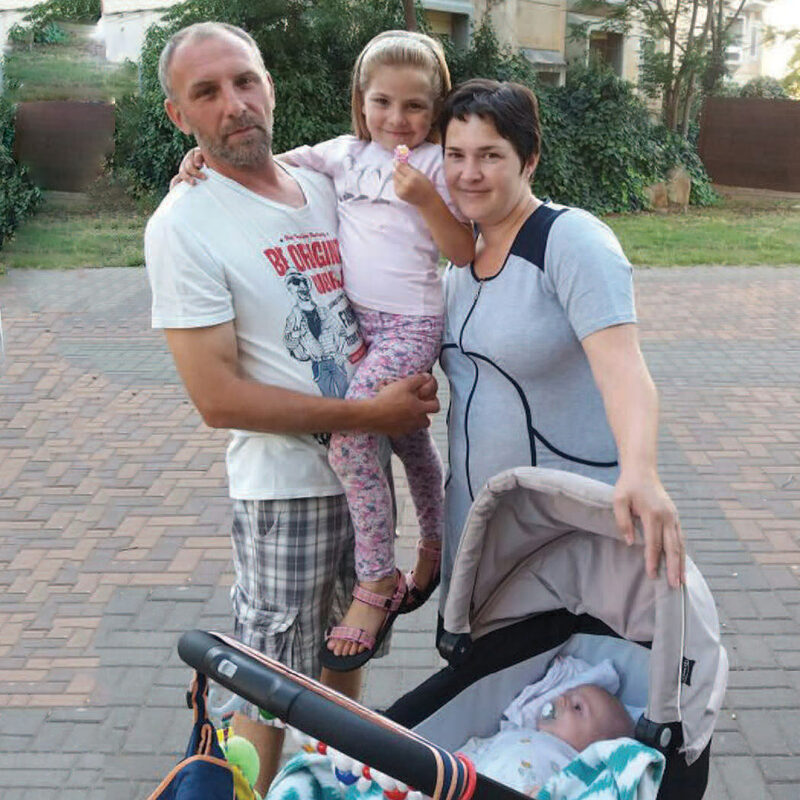 Olga, Alexey, and their young family live on the Golan Heights. 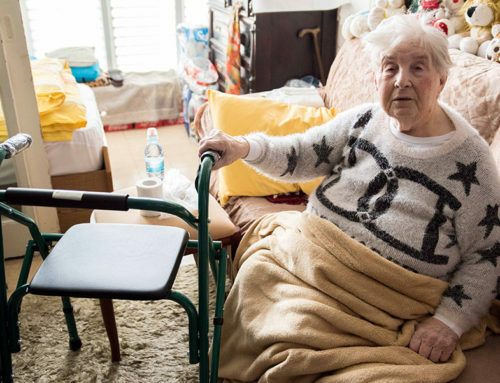 While Olga was pregnant with their second child, doctors believed that the baby would be born with very serious health problems. They were so certain that they tried to convince her to have an abortion. She chose to carry the baby to term. 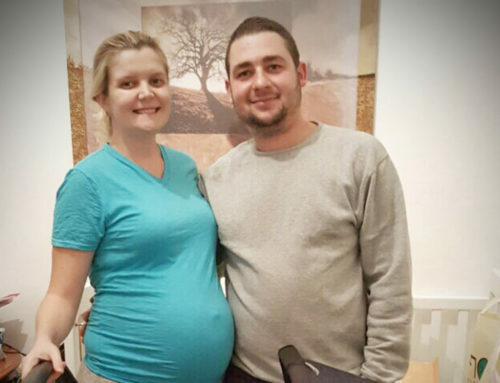 While Olga was expecting, the couple applied for help at MTI. They did not have a stroller, and living on a tight budget, they simply did not have money to buy one. The MTI staff bought them a new stroller. 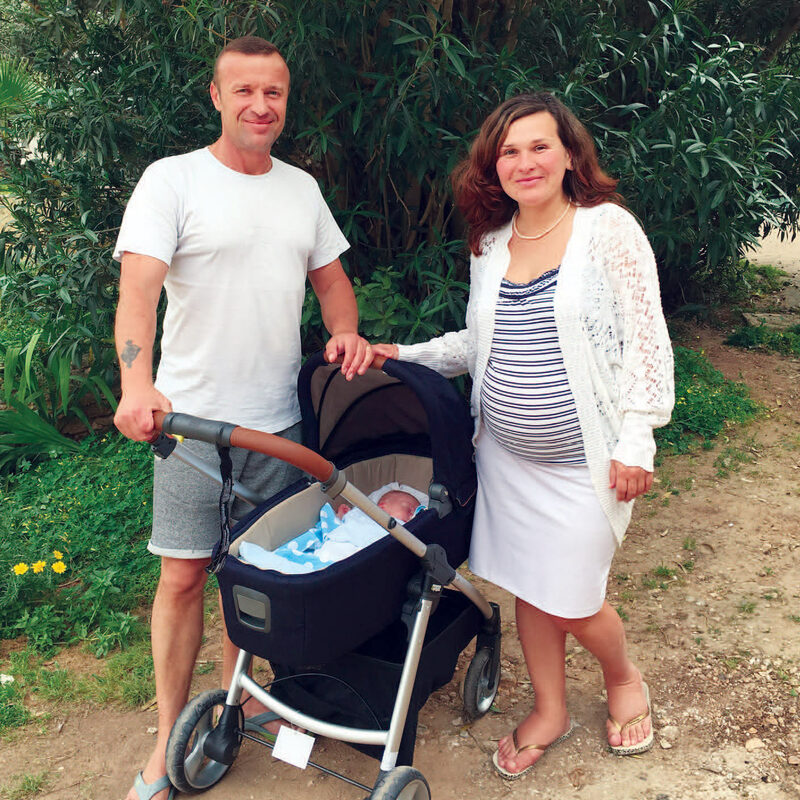 A few months ago, Olga gave birth to a very healthy baby! This family is very happy and thankful for the help and support they got from MTI during their hour of need. 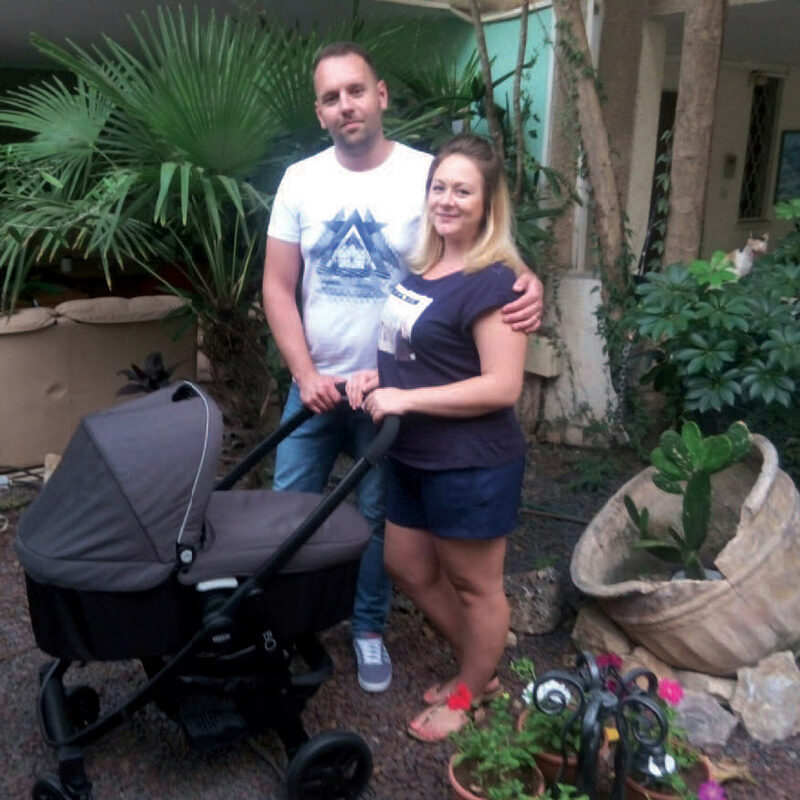 Vadim and Liubov live in Nazareth and have been married for two years. A few weeks ago, their first child, Solomon was born. They have a limited income and could not afford to purchase a stroller. They applied for help, and MTI was able to give them a stroller. The parents expressed their appreciation for the gift for their family. Kirill and Alina are a family trying hard to make ends meet. Several years ago, Kirill was addicted to drugs, and because of that, he has a lot of debt. Drug free for a long time, he has been working hard to pay off the indebtedness. They have been able to pay their bills, but they do not have money for any extras. 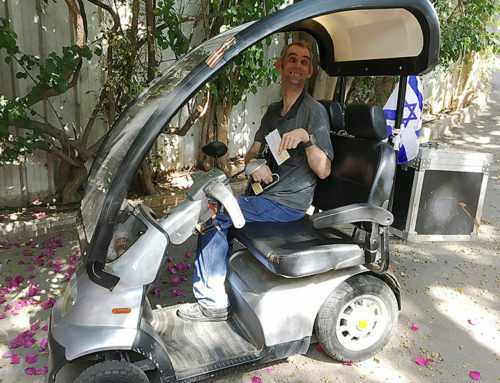 The MTI staff was able to supply them with a brand new stroller. 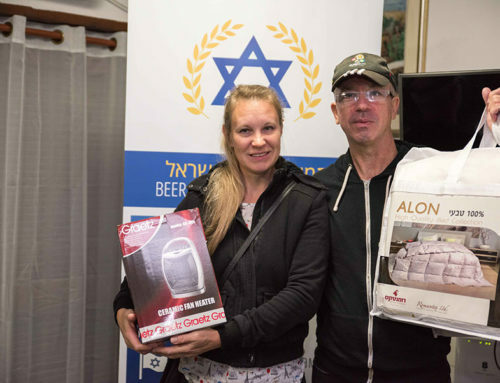 This couple, who have worked so hard to turn things around in order to make a better and stable life, couldn’t believe that they received such a nice gift for their baby.